Create the perfect birthday party for your little guy with the Winter One-derland Invitation - it will be snow much fun! Once purchased, this cute, double sided invitation can be customized with your provided information. I than e-mail the purchased file to you so that you can choose to have them printed any way you'd like! 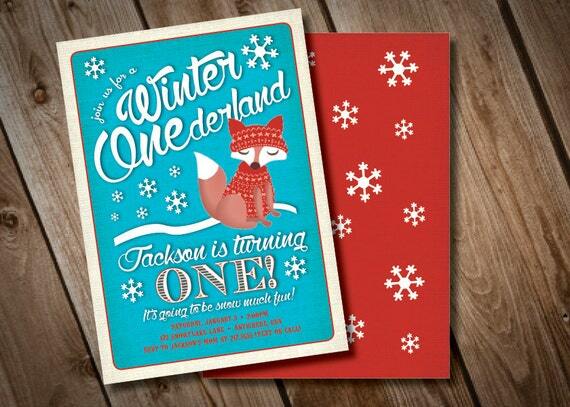 This listing is for a high resolution digital file of the Winter One-derland Invitation in PDF format (300 dpi). You will receive 2 - 5x7 invitations per 8.5 x 11 pdf (front and back designs.